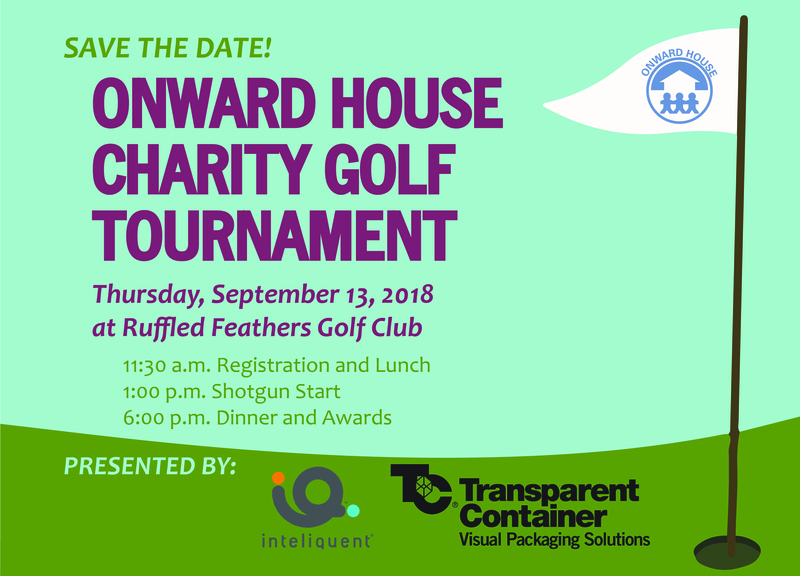 Thank you to everyone who supported and attended the Annual Onward House Charity Golf Tournament, presented by Inteliquent and Transparent Container on Thursday, September 13 at Ruffled Feathers Golf Club located at 1 Pete Dye Dr, Lemont, IL 60439. This year’s annual Golf Outing at Ruffled Feathers Golf Club was a great success thanks to all of our committed golfers and sponsors. Thanks to beautiful weather, 2018 was one of the most enjoyable outings in the event’s history! We’d like to thank our presenting sponsors Inteliquent and Transparent Container, who have made this event happen year after year. Along with major sponsor Superior Staffing, and our reception sponsors: CenturyLink, DLA Piper, IMC Foundation, and Wintrust Commercial Bank. As well as our contest sponsor Lipschultz, Levin & Gray and our golf cart sponsors Cushman & Wakefield and GTT Communications. Last but not least, congratulations to our winning team of golfers, Max Messina, Dan Lund, Mark Hev, and Jeff Lyman!